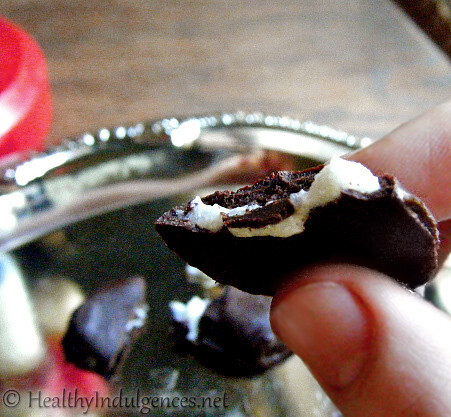 The following recipe for homemade sugar-free peppermint patties fulfills a special request made by my good friend Bethany. 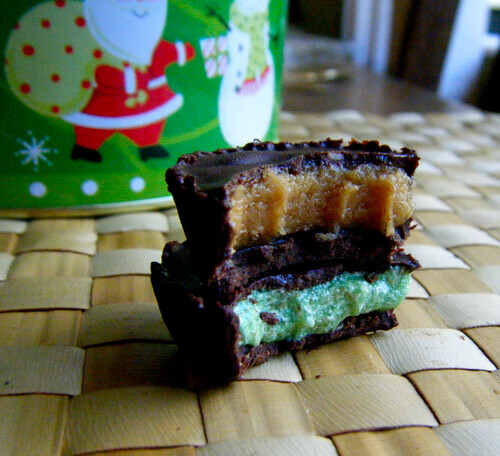 She had the delicious idea of doing a mint chocolate candy for the holidays. I melted down my homemade low carb chocolate chips into a candy base, created a creamy peppermint filling, and smeared my way through homemade peppermint patties and mint chocolate cups. Next, I revisited my favorite recipe for Healthy Buckeyes, making a few tweaks and using my homemade sugar-free chocolate chips as the enrobing layer. The Buckeyes were a hit at a holiday gathering last night, and I ate far too many of them. 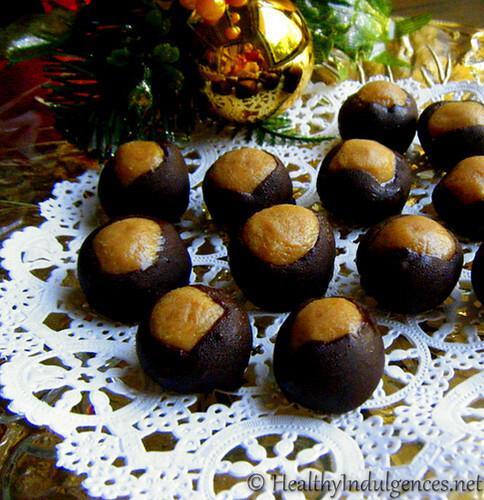 Buckeyes will not be on the menu again for a very long time, so if you, too, have a weakness for peanut butter and chocolate, make these and immediately whisk them out of the house to a dinner party! Fortunately, these are low carb candies that will NOT have the distressing side effects of the storebought kind! Erythritol is much easier to digest than other sugar alcohols. Because the sugar-free chocolate base made with erythritol can be hard to handle, here are some more detailed instructions. If you follow these steps, you’ll get perfectly smooth chocolate to coat your candies. 1. Make sure every utensil is extremely DRY, with not a speck of moisture on anything. 2. 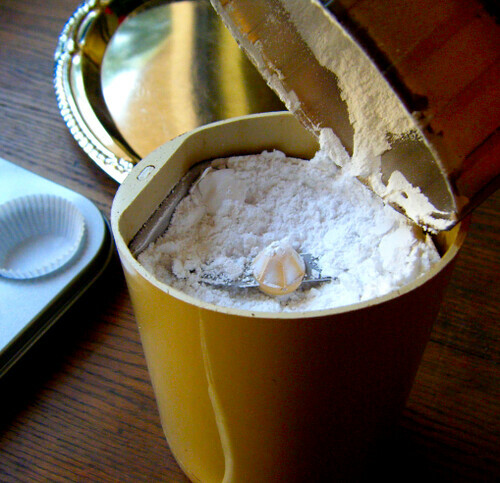 Powder erythritol to as fine a powder as possible (see below). 3. Stir together the powdered milk and erythritol. 4. Chop up the chocolate finely. 5. Microwave mixture on HIGH and stir after 20 seconds. Stir after another 15 seconds, then after 15 more seconds. It should be completely smooth by then. Just keep stirring until the chocolate melts completely. Once you get to that point, you shouldn’t have to worry too much about the consistency of the chocolate. 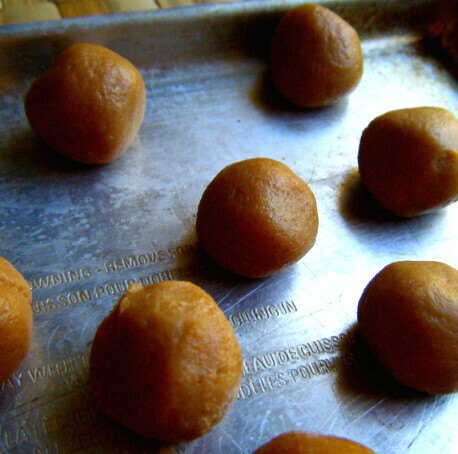 If it becomes too stiff for dipping the Buckeyes, warm up the chocolate in the microwave in 10 second intervals. 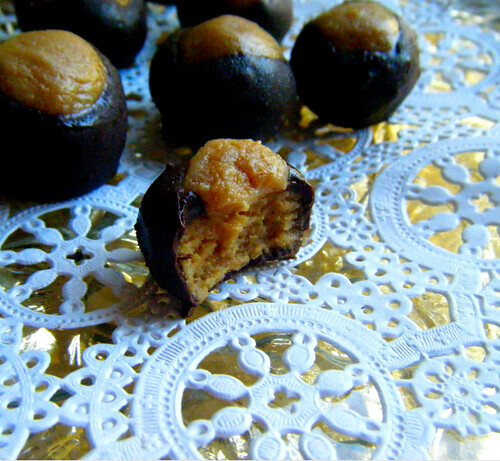 These buckeyes are sugar-free and just as decadent as the real deal! You can make them with 70% chocolate (contains a little sugar), or make your own sugar-free chocolate coating using my recipe. Powder erythritol or Truvia and sea salt in food processor, coffee grinder, or Magic Bullet blender. Process together ricotta cheese, vanilla, sea salt, and erythritol or Truvia until ricotta is completely smooth. This might take a couple of minutes. Add peanut butter, softened butter, and pure stevia extract. Process until smooth. Taste and adjust sweeteners if necessary. Chill mixture for 5 minutes, or until filling is firm enough to roll into balls. Roll filling into balls and freeze for 10 minutes. Melt chocolate chips or chocolate bar. Stick toothpicks in centers and dip in melted chocolate, swirling the center around in the chocolate to cover. Leave a small area at the top of the candy for the filling to peek through. Quick set candies in the freezer for 5 minutes, then store in baggies in the refrigerator. *Try to buy a brand of ricotta without a lot of added moisture. If you see whey (a clear liquid) pooling on the surface of the cheese, pour it out before using the ricotta. If the ricotta adds too much moisture to your filling “dough,” mix a tablespoon or two of coconut flour into the filling to thicken it. Fold together ricotta, a few drops of peppermint extract, and erythritol. Cream with a hand mixer until erythritol is mostly dissolved and ricotta is completely smooth. 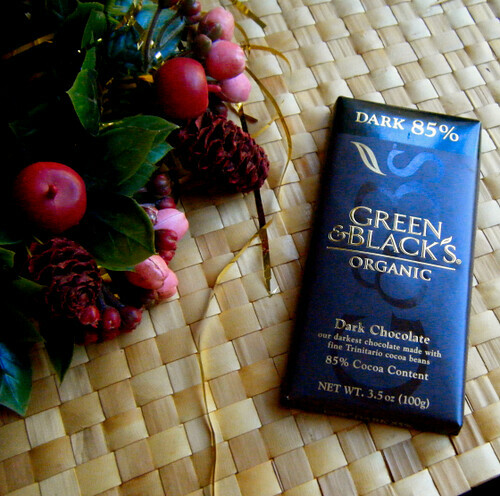 Add stevia to taste, and beat in a drop of green food coloring if desired. Add more peppermint extract, to taste. Melt chocolate chips. Line a cookie sheet with wax paper. 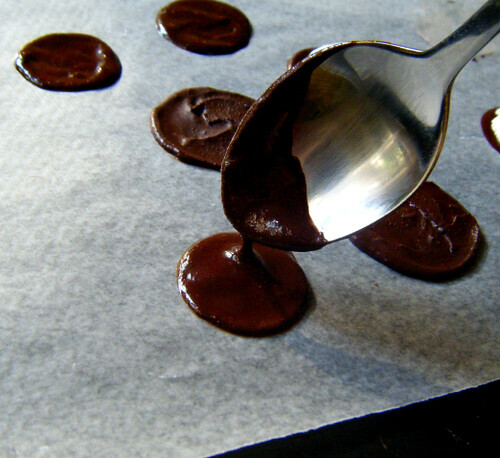 Spread circles of the chocolate onto the cold cookie sheet, trying to make a thin even layer of chocolate. Chill for five minutes to set. Spread mint filling just inside the circles and chill again. Finally, dip candies topside down in the chocolate to cover and seal the filling. Store on the counter top for up to a day, then keep in the refrigerator. Line a mini muffin tin with paper cups. Melt chocolate chips. Spread melted chocolate up the sides of the paper cups, and chill pan in freezer for 5 minutes to set. Next, add dollops of filling just to the brim of the cups and smooth over. Chill for 5 more minutes to set. 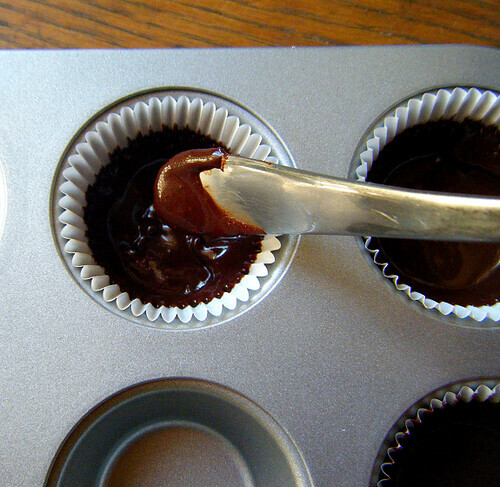 Finally, top with a dollop of chocolate base and spread over the tops of the cups to cover and seal. Chill to quick set, and store in the refrigerator. I’ve always loved peppermint patties! I’ve never done much candy making, but I might have to try these sometime. I have a bag of the granular E.- will the magic bullet make it powdered? And will any dry powdered milk do? Not sure where to get the Organic Valley. The green mint patties look wonderful, so I am thinking of getting brave enough to give those a try. YUMMERS! Oh yum!!! I found your blog from one of the LC boards. I finally found Erythritol. I’m going to make a few lc treats I can njoy for Christmas. Thanks so much for being such a creative healthy cook! I’ve loved Peppermint Patties like forever! Someday I will get brave and try to make some myself, especially the green ones! Yum! Mmm, chocolate giveaways! Those look great! Brian – Thanks for stopping by! fit lil fiddle – Thanks! I hope you find some LC treats you enjoy this Christmas. Jessie – Chocolate tends to perk my ears up, too! Now I’m in a real dilemma. I can’t decide whether to make the buckeye candy or the magic cookie bars! Was also wondering what to do if I don’t have a coffe grinder for the Erythritol. Oh my-Lauren-as usual, you’re pix are beautiful-I can’t wait to make some buckeyes-but will make the magic cookie bare first! These all look so amazing, and your photographs are beautiful as well. I wonder if natural green food coloring would work in the peppermint filling? I have some forest green color that I got at Seelecttea.com that just might do it. If I make these, I’ll try it! Thanks, as always, for your incredible recipes! I am with Kimberly! I can’t decide what to make as they ALL look terrific. We LOVED the Pots de creme, BTW. I made a double batch and I was really glad I did. We loved them with whipped cream. Keep the recipes coming!! I love your recipes. And your pictures!!!! I especially appreciate that everything is gluten-free. Your pictures are always incredible and your recipes are much-needed! Happy Holidays, thanks for the grub! Kimberly – They are both delicious! I’d start with the buckeyes since they are so quick. Instant gratification! 🙂 Do you have a Magic Bullet? Even a regular blender should work. Jeri – Hi! Hope you enjoy the treats! Kid Feed Mommy – Thanks for stopping by! Try out the green food coloring and see if it’s visually appealing enough for you. I have not had much success with natural colors to be honest! Lucy – Heeeey Lucy! Thanks, girl. Sungoddess – What a compliment! Thank you so much. Got some gingerbread cookies just posted for ya. Julie – Thank you so much! YUM! I. Love. Your. Blog! yay, I am excited to make these versions of my fave candies. 🙂 Thanks! I did make the buckeyes. They were very easy but I had some trouble with the chocolate b/c all I had on hand was bakers unsweetened and I couldn’t get it sweet enough. I also see why the erythrtol needs to be finer:( I will try to use the blender to get it ground to a finer texture next time:)Over all though the buckeyes were very good. Thanks! Peanut butter and chocolate is possibly my favorite. Yum. I’ve just made about 200 of the high carb Buckeyes. After the first of the year, I look look forward to trying your healthy recipe! Those buckeyes look so, so, so good. Question! Do you measure your E. before you powder it, or after? I notice the quantity seems to increase with powdering!!! Hi Rachel, I always measure erythritol for recipes BEFORE powdering. You’re right–powdering almost doubles the volume. Is it too late to ppost a comment? Btw, that looks sooo tasty! Hey guys I really liked lainformacion that after seeing this wonderful blog in my house I made in the company of my daughter's Chocolate and Sugar-Free Giveaways Candy Making Christmas, thanks for the info I love this blog. Oh Lauren I havae so got to make these for my neighbor who is also doing the belly fat cure with me. she loves peppermint patties. it will make a perfect basket with all the options to choose from. will have to try to make each one. These all look so delicious! So glad I found your blog!! Thanks! and the pictures are great as well! 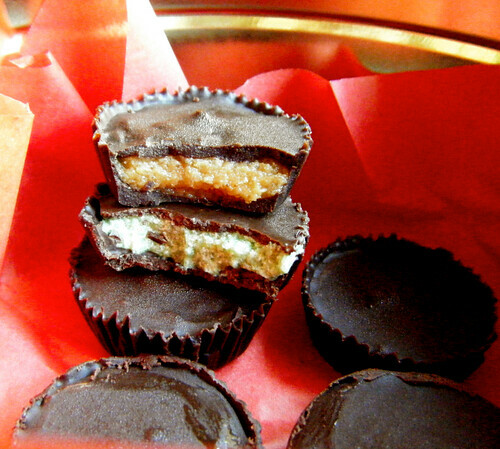 Loving the peanut butter cups. Do we have a recipe for sugar free chocolate covered cherries????? Buckeyes are a Christmas staple at our house. Now I can indulge without the sugar. Thank you! I noticed that you mentioned in the choco chip post that they won't melt at room temp so, is it necessary to chill the chocolate to firm it up before chopping? Or, will it harden at room temp too? Laura, the chocolate is still a bit soft at room temp unless you use cocoa butter I discovered. You do need to still chill the candies if you're not using CB, but they won't melt all over your hand when you leave them outside of the fridge for a few minutes. Hope that helps! Taking a look at your website and content released on it I’m delighted that there is still wish for people. Thanks! The student writesgood regarding the wonderful stuff, and i also we hope you make the right decision! Respect Great job! I see you could have placed a great deal of function directly into this great site, fantastic optimization, fantastic style and design. I coveted by you actually a lot enthusiasm concerning how you’re doing! Je reviens commenter plus tard. Super article Guillaume, j’ai a-do-rÃ©. sÃ©rieux. Ce que dit Mahut qui chercje l’aribitre pour s’excuser, c’est juste touchant. J’ai vraiment Ã©normÃ©ment apprÃ©ciÃ© ce papier. ce n’est pas le premier papier sur le tennis de proximitÃ© que tu nous fais, mais c’est le meilleur Ã mon sens. Shelley, see my post right above yours. I’m talking of Chatham.Sit tight for a while. If the current economic situation doesn’t change substantially either way my bet is that you will have a myriad of choices when the leaves are falling.Of course, all qualifications to this opinion apply. I am the rotund cleaning woman dressed in blue that comes to clean the bathroom fixtures after kettle1 has mopped the floor so take my opinion for what it is worth…. Great haul – the rocking sun loungers are a find! I always assume when I get flowers that Mr V is guilty of something he hasn't owned up to yet – like shrinking my favourite jumper or the like.Love your gingham maxi and I love your floppy 70's style hat. Glad to have you guys. All you you, the dogs too. They were very well behaved. Our dogs liked having the company. Just let us know when you want to return.